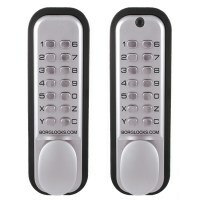 Borg Locks BL 2021 Back to Back Digital Push Button Door Lock in a Satin Chrome Finish, used when code entry is required on a door to enter and exit. 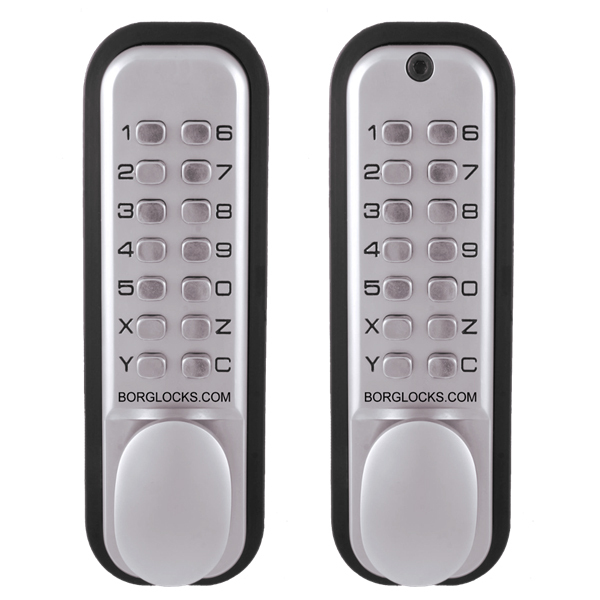 The BL2021 is supplied with an Anti Thrust tubular latch with a backset of 60mm, the push button lock does not have any holdback options, so the door can not be left unlocked. 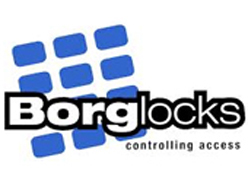 With over 50,000 cycle tests and a 1 year manufacturer guarantee, this digital door lock won't let you down.